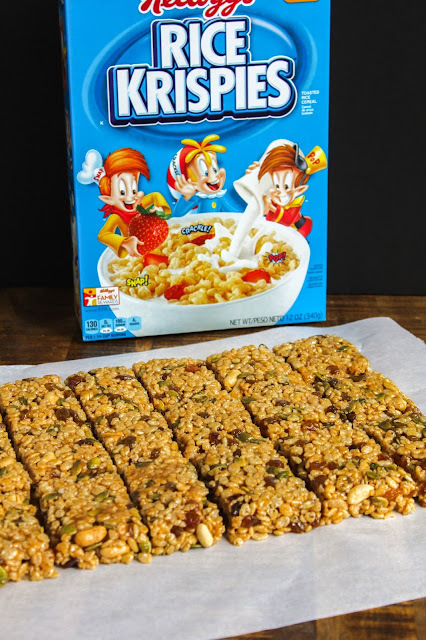 Rice Krispies have always been one of my favorite cereals, and it just happens to be one of my kids favorites, too. Whether I eat them plain or with banana slices, have them in the morning or as a bedtime snack, it seems I eat them quite often. 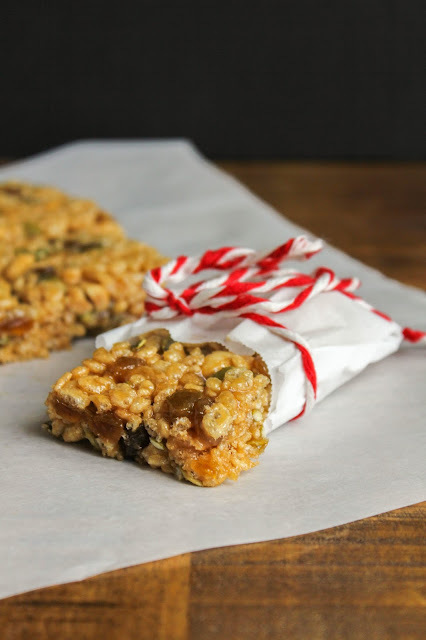 So I decided to take my beloved Rice Krispies and turn them into a breakfast bar, making a heartier and more filling meal, and much easier to eat on the go. What I love about this recipe is how easy it is to put together. And there is no baking involved! Mix up your warm, syrupy sauce, pour it over the cereal, fruit and nut mixture, allow it all to sit and come together, and BOOM! 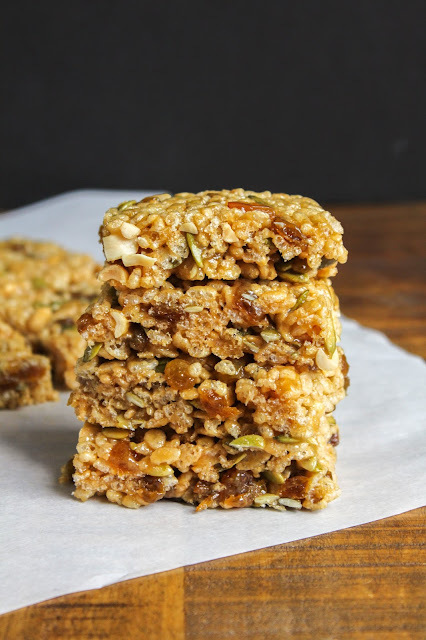 We've got breakfast bars, folks. A pan of these will last your family all week! 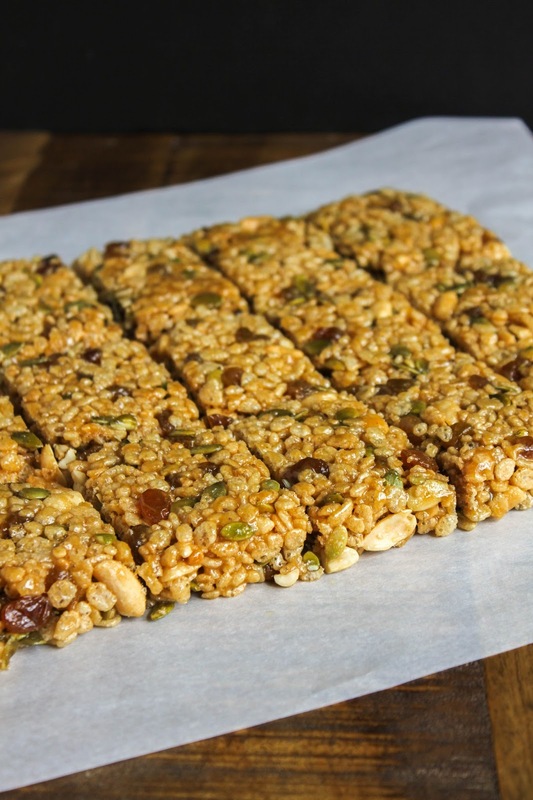 Full of vitamins, protein and potassium, one of these bars is a perfect way to start your day. Pick up everything you need to make these delicious breakfast bars at your local Target store. Also be sure check out Kellogg's Fuel Up for School promotion where you have a chance to win fabulous prizes for your family! Now, let's make some breakfast bars! Spray a 9 x 13 inch pan with non-stick cooking spray. In a large bowl, mix the cereal, raisins, pumpkin seeds, and peanuts. In a medium saucepan, heat the brown sugar, honey and peanut butter to a low boil over medium heat, stirring often. Allow to boil for 1 minute, then remove from the heat and stir in the vanilla. Pour the warm syrup mixture over the dry mix and toss to coat everything evenly. With lightly buttered hands, press the mixture firmly in the pan. Refrigerate for 30 minutes. Cut into 24 bars, 6 rows by 4 rows. 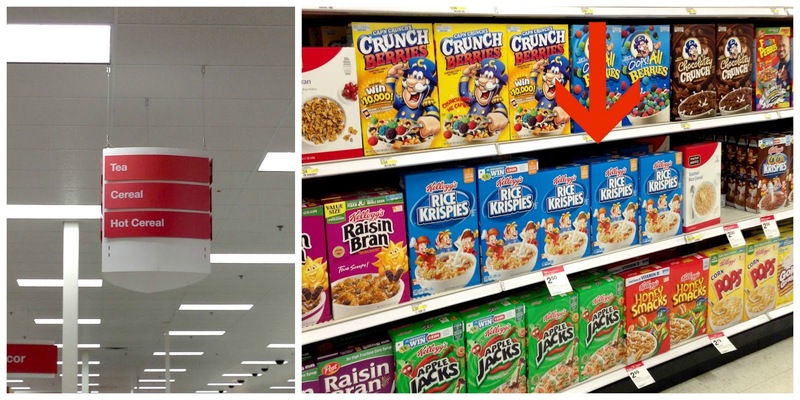 Be sure to check out Kellogg's Back to School packaging and great on-pack offers in store at Target! 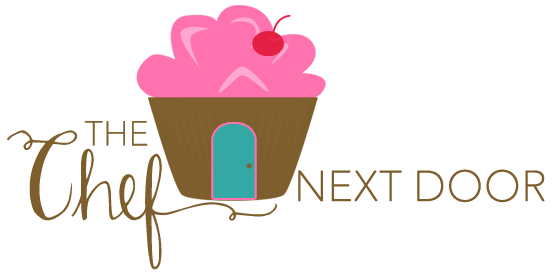 Also, from 9/13-9/19, purchase five select Nutri-grain, Special K, Pop-Tart, and Kellogg's cereal products and receive a $5 Target gift card! 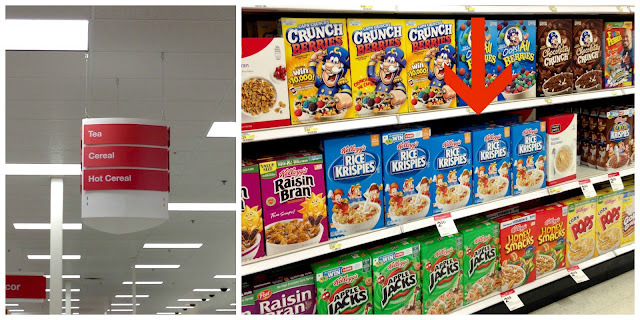 Rice Krispies can easily be found in the Cereal aisle of your local Target store, along with all of your other favorite Kellogg's cereals!